Join Stitchin' Heaven and friends on a 7-night Alaska Sawyer Glacier Cruise! 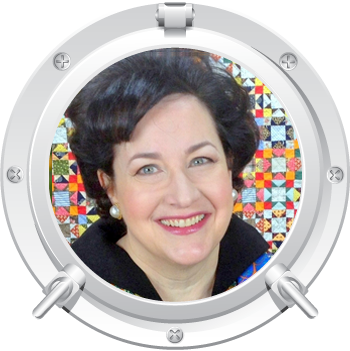 Cruise and learn from quilting experts: Anita Grossman Solomon, Susan Knapp, and Deb Tucker. Alaska, the Last Frontier. EVERYONE wants to go to Alaska. It never disappoints. It never gets old. There is always a wonder and mystery of the beautiful landscape, the surprise of the wildlife, and the intrigue of the history of Alaska. Viewed by most since the 19th century, over a hundred years later little has changed and it remains just as mysterious and inviting as ever. Alaska is larger than Texas, California, and Montana combined so what we see on our cruise is just a tiny part of this magic kingdom. But what we will see will certainly be worth it as it is ever changing and always satisfying. 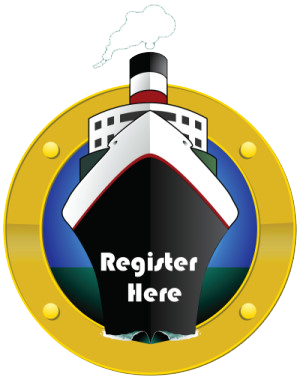 Join us on this amazing cruise. You may have watched her on HGTV’s “Simply Quilts”, “The Quilt Show”, or “Quilt Out Loud". She’s written three books for C&T Publishing. Upon first seeing Anita’s work, her editor said “I know what you do, you make it simpler.” A week later Anita registered the domain www.MakeItSimpler.com Her quilts have been displayed everywhere from the ceiling of the International Quilt Festival in Houston to an enormous screen high above Times Square in New York City. Recently, Robert Kaufman Fabrics debuted her colorful KONA® fabric palette. An international teacher, she is also an instructor on Craftsy.com where she blogs The Fiber of My Being. Susan has been a quilter since 1983. It all began because she was a new stay-at-home mom who needed a creative outlet--and she really enjoys geometry! 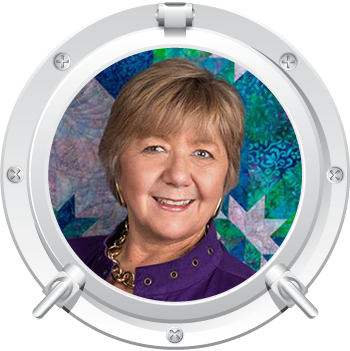 Now she is a highly sought after quilt teacher for local quilt shops and organizations, specializing in teaching newcomers. Susan stresses the illusive 1/4” seam as the very basis of good quilt making, which brings a high degree of success to her students. She learned the world of fabric by honest hard work at the University of Illinois with a master’s degree in the University Extension Program. Susan is married to a farmer, and they have two children and now a grand baby! In 1995, The Quilt Branch started as a consuming hobby and a side job for Susan and her now-retired partner Mary Jane Mattingly. Mary Jane had informally trained as a textile art student and seamstress for many years. Then, she decided to take a quilting class from none other than me. Being one of those successful students, we decided to join forces and share our love of quilting with all of you. 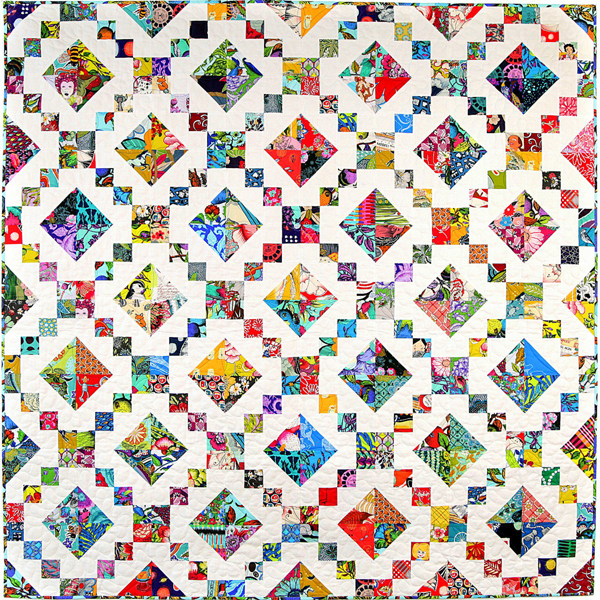 Deb has been an avid quilt maker since 1981 and describes herself as a "Machine Piecing Efficiency Expert". 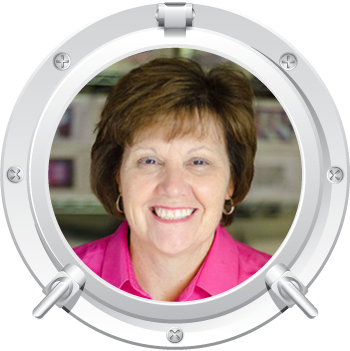 She has developed numerous streamlined construction techniques and tools to ensure high quality success with all levels of quilters. Her patented tools - Rapid Fire Hunter's Star, Rapid Fire Lemoyne Star and fundamental line of rulers (Tucker Trimmer, Wing Clipper, Square/Squared, V-Block Trimmer, Corner Beam Trimmer, and others) are sold nationally and internationally. 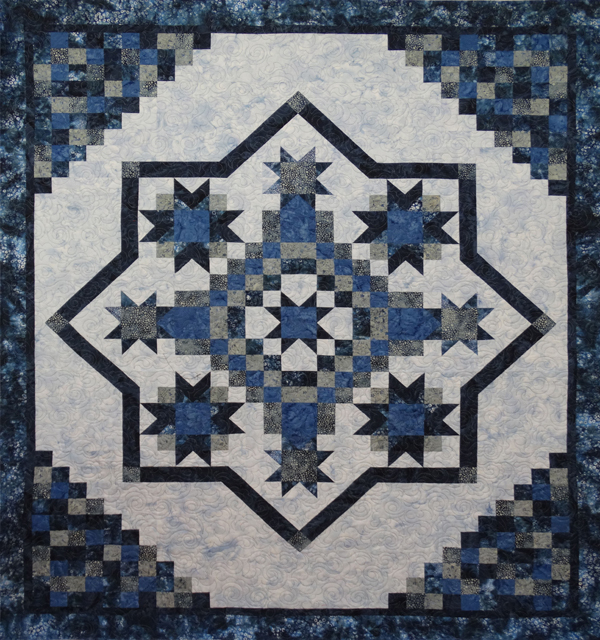 As a designer, Deb has many patterns, books, online video tutorials and additional products to guide quilters with their machine piecing processes. In 2008 not only did she launch her company, Studio 180 Design, she was also nominated for "Teacher of the Year" by Professional Quilter Magazine. Her business now has 5 full time employees and 60+ Certified Instructors (trained individuals who are available to teach and lecture all across this country and abroad). When not traveling, Deb, her husband Jeff, and their crew of "cat helpers" now live in beautiful, central North Carolina. The Jewel is a traditional block which we’ll sew in a simple way. It’s tailor made for cruising with its streamlined process.We’ll begin with a pair of pre-cut fabric rectangles and a paper sewing guide. Immediately we’ll sew through a few printed lines, cut through other lines, and before you can say ahoy a pair of rectangles become a block. By the way, this is not foundation piecing. You’ll create 8” blocks without any measuring and marvel at the steps you've skipped! The vibrant Kaffe Fassett fabrics against a ‘glacial’ white background look simply amazing. The kit is inspired by Anita’s stash version pictured here. A choice of layout options will personalize your quilt. Click here to see the layout options. The Irish Mist quilt design was inspired by an ancient marble floor in an old Irish Catholic Church outside of Killarney, Ireland. Our Six Halves Make a Whole series of books and patterns provided the beginning of the thought process. After trying almost 80 versions, Irish Mist comes to you as one of our best sellers! We have made it as a throw, queen size, tree skirt and even a miniature! Hope you enjoy your own version of Irish Mist. Choose 3 fabrics, add several great tools, mix with good techniques and presto you'll have this great looking quilt in a snap! You'll be using Studio 180 Design tools to build your units which allow for slight oversizing and then trimming to give spectacular end results for everyone, every time! Join us for a fun filled class loaded with great techniques, tons of hints and tips, and a beautiful quilt in the end. Our incredible Sail 'n Sew fabric pack includes all of the fabrics and patterns for your projects and they are pre-cut so all you need to do is sit down and sew! The price of the Sail ‘n Sew fabric pack is $440.00 and it includes all three of the projects for this cruise. If you would like to buy individual kits, please call for pricing. If you would like a Sail ‘n Sew pack, just let us know when you make your Reservation and we'll have a kit waiting for you on the ship. Order early as supplies are limited. NOTE: In most cases the fabrics used to make the projects shown are no longer available. For our Sail 'n Sew kits we will match fabrics as closely to the project shown as possible. However, if you are uncomfortable with our judgement we suggest you consider purchasing your own fabric and pre-cutting it prior to class. If you choose to bring your own fabric, please bring it precut and ready as we do not allow time for cutting during class. 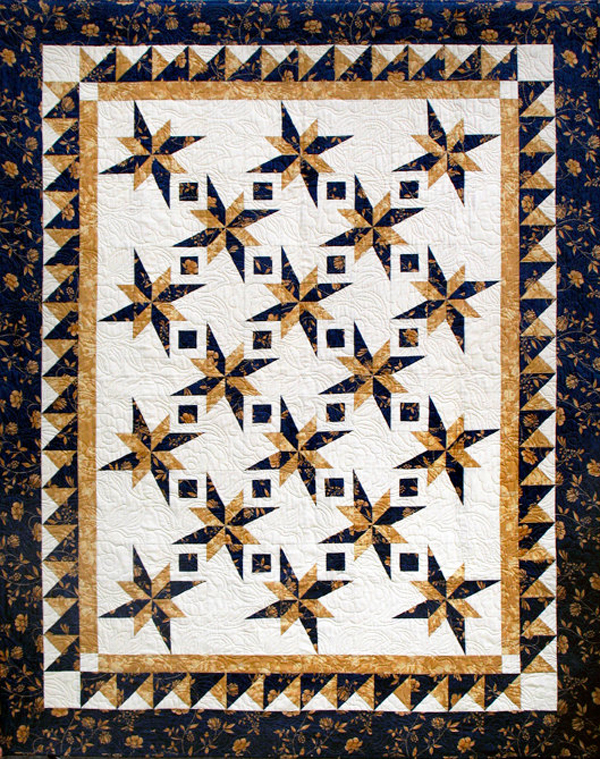 You will find the cutting instructions in each pattern that can be ordered here: Irish Mist (Six Halves Make A Whole Lot More Book), New Year's Star Pattern - Tucker Trimmer - VBlock. Shaped by the staggering force of massive glaciers millions of years ago, Alaska's Inside Passage boasts wildlife-filled fjords and lush island scenery — habitat for bald eagles, sea lions, porpoises and whales. Its mountains are carpeted with majestic forests. The highlight of any cruise through the Inside Passage has to be Hubbard Glacier. It is one of the most active glaciers in the area and a great place to experience the majesty of a glacier up close. Sheets of ice separate themselves from the ice field in a process known as "galloping." When the ice finally crashes into the sea, you can hear a loud cracking sound, similar to a starter pistol. This process is known as "calving," and the sound echoes for miles. We will then visit breathtaking Tracy Arm Fjord, Alaska. Nestled between 3,000-foot high granite walls, the narrow, twisting slice of ocean called Tracy Arm Fjord weaves through the Tongass National Forest for roughly 35 miles. The shoreline is spotted with waterfalls created by melting snowcaps and trees sprouting at odd angles from rocky outcroppings. You will have ample time to admire the landscape and perhaps catch sight of a few native animals as you cruise through this Fjord. Since we cruise the Fjord just after sunset, there is plenty of time for class in the conference center. Is it adventure you seek, or a restful retreat from life on land? Royal Caribbean's Explorer of the Seas® is home to an array of innovations that give you whatever type of vacation you desire. Climb a rock wall that overlooks the sea, or find your adventure on the basketball court, ice-skating rink or mini-golf course. If it's zen you seek, achieve it poolside or at the relaxing Vitality Spa. Liven up your nights on the Royal Promenade, with parades, dancing, and duty-free shopping deals. And bring along some friends with spacious public areas, enhanced staterooms, and a spectacular three-story dining room, this ship has room for your whole crew. The ship also has new innovative features at sea such as the FlowRider surf simulator, 3-D movie theater, all new staterooms including new virtual balconies, and new dining experiences. Port charges, taxes & fees of $422.34 are not included. Gratuities are a part of your cruise expense and total $12.95 per day. This fee covers everyone who serves you while you are onboard including all onboard staff, dining staff, and your cabin steward. Because of our group status, Stitchin' Heaven Travel pays these gratuities for our entire group prior to sailing. Therefore, you will be charged for them at the time of final payment. A 15 percent gratuity is automatically added to bar tabs.